We’d love your help. Let us know what’s wrong with this preview of The Art of Falling by Kathryn Craft. One wrong step could send her over the edge. All Penny has ever wanted to do is dance—and when that chance is taken from her, it pushes her to the brink of despair, from which she might never return. When she wakes up after a traumatic fall, bruised and battered but miraculously alive, Penny must confront the memories that have haunted her for years, using her love of movem One wrong step could send her over the edge. All Penny has ever wanted to do is dance—and when that chance is taken from her, it pushes her to the brink of despair, from which she might never return. When she wakes up after a traumatic fall, bruised and battered but miraculously alive, Penny must confront the memories that have haunted her for years, using her love of movement to pick up the pieces of her shattered life. To ask other readers questions about The Art of Falling, please sign up. The Art of Falling is a spectacular debut novel that is utterly captivating from beginning to end. This in-depth look into the world of dance is quite fascinating and Kathryn Craft does not gloss over the physical and mental toll the sport can sometimes take on dancers. Poignant and powerful, this emotional story of friendship, healing and new beginnings is thought-provoking and compelling. Her whole life has been dedicated to dance, but broken in both body and spirit, Penelope "Penny" Sparrow is The Art of Falling is a spectacular debut novel that is utterly captivating from beginning to end. This in-depth look into the world of dance is quite fascinating and Kathryn Craft does not gloss over the physical and mental toll the sport can sometimes take on dancers. Poignant and powerful, this emotional story of friendship, healing and new beginnings is thought-provoking and compelling. Her whole life has been dedicated to dance, but broken in both body and spirit, Penelope "Penny" Sparrow is trying to make sense of her life after surviving a horrific fall. With no place else to go, she finds herself back in her mother's house where she is forced to come to terms with her lifelong struggle with body image. But it is through the two people she meets at the lowest point in her life that Penny learns life's most valuable lessons. Angela Reed offers Penny something that has long been absent from her life: friendship, unconditional love and acceptance. Marty Kandelbaum literally saved Penny's life and his gentle wisdom and his willingness to take a chance on love after tragedy provides her a new perspective on both her past and her future. Penny is in a very dark place at the beginning of The Art of Falling. Her body is not typical for a dancer and she has fought to find her niche in the dancing world. When her dream job and romance end, Penny is overwhelmed with doubts about herself-her talent, her body and her accomplishments. In the aftermath of her fall, Penny battles depression as she faces her fear that she might never dance again but with the encouragement of Angela and Kandelbaum, Penny comes to a new understanding of herself and the people in her life. Angela and Kandelbaum are an excellent cast of secondary characters and I absolutely adored them. Angela is upbeat and positive despite her health issues and their friendship is a wonderful chance for Penny to focus on someone but herself. Kandelbaum is a sweet, spiritual man with a very calming presence and although he has suffered a great loss, he is a ray of sunshine. Their friendship reminds Penny of how much she let slip away when she became so focused on her career and the man who ultimately betrayed her. One of the most difficult story arcs is Penny's relationship with her mother Evelyn. Penny's disdain of her mother's weight overshadows all of the good that Evelyn has done for Penny. Penny is concerned about the health risks obesity poses for Evelyn, but it also propels Penny to count calories and meticulously maintain a strict diet. Evelyn is not the typical stage mother, pushing her daughter to succeed. Instead she gives Penny the opportunity to pursue her dream even when that means stepping out of Penny's life. Although Penny does not always see it, Evelyn is her biggest supporter and she goes to great lengths to protect Penny. It is intensely gratifying to see them repair their fractured relationship and come to a better understanding of each other. The Art of Falli I read a lot of books. I always have one going. Usually I go from one to the next, like another handful of potato chips and promptly forget what I’ve just read. It’s “mind candy,” pure entertainment, escape fiction. The Art of Falling by Kathryn Craft is such a novel. I was honored to read an Advance Reader Copy. I was swept up in the lyrical prose, twirled into the mounting drama, swooped high and low with the poignant, raw emotion of anguish, rejection, then hope and resilience. Craft’s debut novel tells the story of a dancer’s life, her struggle with body image, her sacrifice and self-denial, her striving to “live up to” expectations from her mother, her dance teachers, her dance partners. This novel is to be published January 2014. 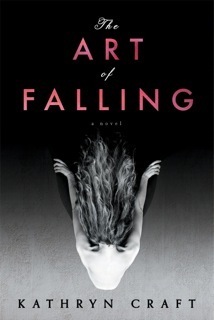 Although the mystery of whether or not Penelope Sparrow meant to jump off her balcony lies at the core of this story, and was initially the driving force that kept me turning pages, The Art of Falling is really the story of a despondent woman learning to appreciate her life again as she heals from near-death injury and has to accept the ghosts of her past. This book reminds me of summer camp: in how it progresses from cloudy to an optimism that only skeptics could try to deny, and in the way Pen Although the mystery of whether or not Penelope Sparrow meant to jump off her balcony lies at the core of this story, and was initially the driving force that kept me turning pages, The Art of Falling is really the story of a despondent woman learning to appreciate her life again as she heals from near-death injury and has to accept the ghosts of her past. This book reminds me of summer camp: in how it progresses from cloudy to an optimism that only skeptics could try to deny, and in the way Penelope develops quick friendships from her sad circumstance that help to break her cynicism. Craft's depiction of how women relate to each other with body image feels true -- though I have to say that the way that Penny treats her mother is so not okay and I wish her deeply entrenched disgust had a more complex resolution than just the apology scene. If there is any art in you at all, ANY (and there is art in us all, yes? ), go get yourself a copy of THE ART OF FALLING by Kathryn Craft, Author and read every delicious word of it. I have been moved to tears, and reminded of why we work so hard at expression, and love, and all the things that make us alive. What a joy this book is. In Kathryn Craft’s beautifully sad and hopeful debut, THE ART OF FALLING, she shows us that our relationship with movement is everything. It’s in the way we breathe, comfort a loved one, and express ourselves–it’s life itself. Penny’s life has always been about dance. When she lets go of that movement, her life is literally in the air and she nearly dies from a 14-story fall. She doesn’t remember why she fell nor does she understand that movement may be the only thing that can save her–if she le In Kathryn Craft’s beautifully sad and hopeful debut, THE ART OF FALLING, she shows us that our relationship with movement is everything. It’s in the way we breathe, comfort a loved one, and express ourselves–it’s life itself. Penny’s life has always been about dance. When she lets go of that movement, her life is literally in the air and she nearly dies from a 14-story fall. She doesn’t remember why she fell nor does she understand that movement may be the only thing that can save her–if she lets it. As a dancer, she always hated her Amazon body and wished for small hips, lean legs...all the things to make for the perfect lines and the perfect dancer. But in seeking perfection she has lost herself along the way. As Penny’s broken body heals she is propelled by an overweight mother she could never full accept and new friends, Angela and Kandelbaum, to find herself again. Penny comes to see that perhaps it’s more than size that matters in dance. And perhaps being strong in body does not mean being strong in spirit, as her sickly friend, Angela, teaches her through her brave struggle to live. Kandelbaum wisely says “If we all looked alike–we’d all think alike and without different perspectives the arts wouldn’t be needed. And if there were words to express it all we wouldn’t need movement.” But Penny believes “without movement I didn’t know who I was”. Is she strong enough in spirit to fight to find out who she is? The only thing Penny can control is the food she eats–but this is a basic existence. It’s her only way to self-love. We come to see that she must find another way to love herself, and she must fill up on something to truly sustain her spirit or she will remain forever empty. But can she deal with the empty inside until she can fill herself up again? What can she do with all that space? She had turned her back on her own space inside for so long. Penny’s mind begins to heal alongside her body, and she slowly begins to see her mother, herself, and the people around her in a different light. Her mother appeals to her to fight like a shark. As she says “sharks have to keep moving to stay alive.” But Penny still fears she can never find her movement again. When she embraces dance again and choreographs a tribute dance, she begins to see all the body types that make up her dance company. And she sees the stories in all of them that make up life. They come together in their uniqueness to create beauty. And in their differences they all offer something. Each body has its own beauty, and purpose. And Penny must learn to trust her body to be strong not only in body–but spirit. If her body wasn’t the gift she needed she wouldn’t have survived the fall. Can Penny discover a dancer must work with her body–in dance and in life–not against it? She had given all of herself away in working against her body. In discovering what really happened on that ledge the day she fell, can she also discover that her life is more just her body? And can she embrace her own body as its own unique beauty and movement? If so, then she can move others–and sustain herself. But can she do it? Kathryn Craft so eloquently poses questions that touch us universally about body image, belonging, unconditional love, loss, and acceptance. Her debut novel will stay with you long after you’ve closed it, leaving you to wonder about how to fill your own space inside that is empty. A heavy handed Lifetime movie of a book. I am still confused about how her "fall" was supposed to be a mystery. Her name is Sparrow (eye roll), she fell from the sky! She is anorexic and her mother runs a candy factory (double eye roll), she must know someone else's death to experience life (eyes broken from rolling), said dying friend's mother is a doctor working as fast as she can to discover a cure (oh my gosh, please stop!). I am shocked she couldn't find independence when living in the Inde A heavy handed Lifetime movie of a book. I am still confused about how her "fall" was supposed to be a mystery. Her name is Sparrow (eye roll), she fell from the sky! She is anorexic and her mother runs a candy factory (double eye roll), she must know someone else's death to experience life (eyes broken from rolling), said dying friend's mother is a doctor working as fast as she can to discover a cure (oh my gosh, please stop!). I am shocked she couldn't find independence when living in the Independence Suites. That was probably my favorite part. How many references to Independence Suites could be jammed in there! Good lord. I don't even want to think about the Real People dance group. Beyond being trite, Penelope Sparrow was just generally unlikable, and I don't think that was the intention. Her cruelty to her mother was absurd, yet passively stated. Was the solution to that relationship really that her mother just needed to lose weight? (view spoiler)[And her father cheated because her mother was fat? WTF? (hide spoiler)] For a book meant to (maybe) raise awareness about anorexia, that's a crazy message. I've been trying to decide between 4 and 5 stars for this book - I liked it a lot and thought it was beautifully written and a wonderful story but thought the ending was a little too "happy ending" for me. The book starts out with a young woman named Penny in a hospital in terrible pain and she has no recollection how she got there - it turns out that she survived a 14 story fall from her apartment's balcony. Did she jump or did she fall? Penny's story unfolds throughout the book as well as the d I've been trying to decide between 4 and 5 stars for this book - I liked it a lot and thought it was beautifully written and a wonderful story but thought the ending was a little too "happy ending" for me. The book starts out with a young woman named Penny in a hospital in terrible pain and she has no recollection how she got there - it turns out that she survived a 14 story fall from her apartment's balcony. Did she jump or did she fall? Penny's story unfolds throughout the book as well as the development of new relationships that come about as a result of her accident. This book is a beautifully written story of a dancer struggling to be true to herself and her "imperfect" body in a world that seeks perfection. Penny Sparrow's story is a haunting tale of facing our demons, accepting ourselves as we are, and making peace with the critics surrounding each of us. I applaud Ms. Craft for her exquisite storytelling and light hand on some heavy topics. What a beautiful book. I raced through this in a day, both because I wanted to find out what happened but also because the pages just compelled me along. Highly recommend. This is a really difficult story to review because there really are so many layers to this book. I think because I am a mother of grown daughters I was more personally invested in Penny's story and her relationship with her mom. I would label their relationship as somewhat toxic. Mom is obsessed with her daughter fulfilling her dream as a dancer. Penny is also obsessed with the same dream but has developed unhealthy attitudes towards food and her body because of her mother's obesity. She keeps h This is a really difficult story to review because there really are so many layers to this book. I think because I am a mother of grown daughters I was more personally invested in Penny's story and her relationship with her mom. I would label their relationship as somewhat toxic. Mom is obsessed with her daughter fulfilling her dream as a dancer. Penny is also obsessed with the same dream but has developed unhealthy attitudes towards food and her body because of her mother's obesity. She keeps her mother very distant from her professional dance career. The world of dance has always been their primary focus and connection. After Penny falls 14 stories and miraculously survives she is forced back into her mother's life out of necessity. Their relationship is strained because her mom doesn't know how to be anything but her daughters dance cheerleader. But, Penny is faced with the reality that dance may not ever be something she can do again professionally. They have to learn how to relate to each other in new ways. It doesn't come without a struggle. She also forms friendships with two unlikely individuals. A baker and a young woman who is suffering from cystic fibrosis. Her friendship with this woman was the reality check she needed to bring focus to her life and what is most important. It was an interesting twist of fate of her fall bringing these three lives together. The book flips from past to present and slowly reveals the events that led up to the fall. Penny has no memory of how it happened. Through her relationship with her new friends and by re-connecting with her past she slowly begins to heal and re-build herself and her relationship with her mom. This would be a great book to choose for book group discussions... I could spend hours discussing some of the issues that are brought up throughout the book. Especially in regards to obsessive parenting, eating disorders, priorities etc... There is a list of questions at the end of the book that can be used for discussion prompts. I know nothing about dance and that it no way affected my interest in the story. I would recommend this book to those who love thought provoking stories that makes you stop and consider the small things in life that matter most. I had written a review for this book just five minutes ago but it didn't save for some reason. I am lost with what I want to say even though I have already said it. The words are in my head and have already flowed through my fingertips onto the keyboard. But for the life of me, writing this a second time has become a serious challenge. Forgive me if my words are rough and don't make any sense. Penny is a dancer who has survived a fall fourteen stories high. During her recovery, she tries to put her life back together using her love of dance to see her through. Movement is the only way she feels alive. I loved how Craft wrote Penny's feelings when she is dancing. She wrote them in a way that anyone, not just dancers, can relate. She was creating art with her body and I definitely saw that in this book. Craft has such powerful writing; she paints a beautiful picture of penny's life with ease. I was drowning in the imagery and hearing the character's voices through their dialogue. With writing like this, I am very excited to read more from Kathryn Craft. This book is not about dance. Although it is everything to Penny, it is also what causes her most of her pain. This book is about Penny learning to deal with her eating disorder. The book doesn't hit you over the end with the real issue. It slowly reveals itself instead, like a flower blooming. With Penny recovering from her fall and using movement as her motivation, she begins to deal with demons that she has been silently struggling with since childhood. It's obvious to everyone but her and I found that very realistic. Most people who have any kind of eating disorder rarely admit it to themselves and are always turning a deaf ear to someone else's concerns about the issue. I read this as a pre-read through NetGalley. A solid, moving story about one dancer's fall--literally--and her return to movement and life. Penny Sparrow falls off a balcony 14 stories up, and she survives. But as a dancer, she feels her life is over. The story follows Penny from just after the fall through the next year of her life, as she makes friends, and rebuilds who she is. There were a few things that kept me from loving the book--little things. Like Penny's name (her last name is Sparrow, I read this as a pre-read through NetGalley. I sat for quite some time in reflection after the last page was turned.Truly moving novel and I hope the author will write many more. As if the world of ballet wasn't physically difficult enough, this great read gives us a glimpse into the other underlying demons many people in ballet face--the perfection of their body (and denying it nutrition), fierce competition, and rejection...especially if you don't fit into the typical "body" mold, as Penny does not. Penny is a relatable (and somewhat complicated) character. Her two unlikely friends and supporters, Angela and Marty, are likable and endearing. Her journey in the story is As if the world of ballet wasn't physically difficult enough, this great read gives us a glimpse into the other underlying demons many people in ballet face--the perfection of their body (and denying it nutrition), fierce competition, and rejection...especially if you don't fit into the typical "body" mold, as Penny does not. Penny is a relatable (and somewhat complicated) character. Her two unlikely friends and supporters, Angela and Marty, are likable and endearing. Her journey in the story is so much more about "falling" out of a fourteen-story window. It is about whether we can ever dip to that low point and pick ourselves up again. Does Penny? Well, you'll have to read this great book to find out! Recommends it for: women everywhere who seek to find themselves and their ideal place in life. I was privileged to read a pre-pub copy of this compelling story for the purpose of writing a review. As soon as it is available to the public, I will most certainly be purchasing a copy for my bookshelf. Unlike the petals of a tulip in springtime, unfolding in full dress to reach for the warm light of the sun, Penelope Sparrow awakens in the cold starkness of a hospital room and labors to coerce her immobile arm to reach toward...anything. Blurred realities pirouette around her inert form, pain I was privileged to read a pre-pub copy of this compelling story for the purpose of writing a review. As soon as it is available to the public, I will most certainly be purchasing a copy for my bookshelf. Unlike the petals of a tulip in springtime, unfolding in full dress to reach for the warm light of the sun, Penelope Sparrow awakens in the cold starkness of a hospital room and labors to coerce her immobile arm to reach toward...anything. Blurred realities pirouette around her inert form, pain binds her in a torturous straightjacket, and memory loses its way in a maze of disconnects. She lies in a strange bed without recollection of arrival, the dancer within her—the one who owns her heart and soul—inexplicably absent during this excruciating digression from her carefully charted destiny. Her spirit longs to blossom again in the garden of the stage and flow across it as the breeze that caresses the rose, but her unresponsive body threatens to rip her from the creative soil that expresses her life. She unwrapped a Snickers bar, broke it in two, and tossed me half. It landed on my lap, rich chocolate on sterile white cotton. I bit in. Chocolate and caramel bathed my taste buds in a sweetness I had denied myself my whole adult life. I shoved the rest into my mouth when I heard a knock at the door. Ms. Craft—an experienced writer, editor, and former dance teacher, choreographer, and critic— is well qualified to write about that world with first-hand familiarity and understanding. Knowing it as only an insider can, she creates this fascinating story with the same rhythm, movement, elegance, and energy as the dance that defines protagonist Penny Sparrow, as well as antagonist Margaret MacArthur, respected but relentless dance critic who is determined to learn the truth about what really landed Penny, motionless, in that hospital bed. While dance serves as the backdrop for the book, it is a story for all women who strive to control their lives and their destinies with whatever body shapes and abilities they possess—and especially those whose lifestyles tend to foster eating disorders. At first it seems a simple, journal-like tale. Quickly, however, the author interjects forces that mold and define character, exposing each personality to the scrutiny of time and action that reveals its true self. She intertwines the complex dynamics between mothers and daughters, multifaceted interactions among faithful and self-serving friends, loyalties that support and destroy, and a life-altering relationship between lovers—juxtaposing these with the rigid deprivations that body-conscious dancers impose upon their lifelong food choices and consumption for the sake of their art. With tender care, Ms. Craft nurtures the storm-ravaged flower that is Penny Sparrow, culling the weeds from her life and allowing her to burst into the vibrant bloom of full womanhood. Layers, one upon another, build to propel this story and its memorable characters into a great novel that will no doubt be read and reread many times, its lessons touching each new reader with a commonality that reaches out to all women—as well as a surprising number of men. Reading groups, take note. This is an excellent book for dissection and discussion. Its intricate plot, insights, and strong character development open the doors to multiple probes and considerations of its depths. The Art of Falling is both a must-read to be shared and a keeper for the shelf. This is SO not a book I thought I'd ever read, but I am thrilled that I did! It's set in the world of dance, a milieu that couldn't be more foreign to me if I tried, given that I'm probably the world's least athletic and most ungainly person, and that's why I would likely never have picked it up. And what a loss that would have been. I bought the book to support a friend and fellow author, but I came away deeply touched, inspired and re-awakened to the power of love and true friendship, to the im This is SO not a book I thought I'd ever read, but I am thrilled that I did! It's set in the world of dance, a milieu that couldn't be more foreign to me if I tried, given that I'm probably the world's least athletic and most ungainly person, and that's why I would likely never have picked it up. And what a loss that would have been. I bought the book to support a friend and fellow author, but I came away deeply touched, inspired and re-awakened to the power of love and true friendship, to the importance of believing in oneself, reaffirmed in the belief that honoring one's creative imperative is one of the few truly authentic and meaningful things we can choose to do in this life, and the all-encompassing healing power of forgiveness and compassion. I had heard Kathryn Craft was a good writer, but I had no idea just HOW good. I read a lot and my standards are high, so I'm not often given to gushing. And this review is not because I know Kathryn. It's because I want other readers who might be like me and, thinking the book is just about dance, decide to pass it by. DON'T DO IT! Read this book! Yes, it's set in the cutthroat world of modern dance and ballet, and provides some interesting and often startling insight into that somewhat hidden culture. But really, dance is simply the setting for this tale, which is primarily about human connection: all the ways we need and want it, but are seemingly unable to recognize or accept it when its potential is right in front of us. And ultimately, how we sometimes do exactly the right thing for maybe unknown reasons, by simply following our hearts. Aside from the compelling storyline, I also admired the quality of the writing. I often found myself stopping to think, "Wow, yes! That's EXACTLY the right word!" or "I wish I"d written that line." But don't worry -- this is a writer thing and unless you're also a writer, I doubt you'll be pulled out of the story like this. For me, it's never an annoyance, but just another way to enjoy what someone else has created. I must admit, I really didn't like the main character very much for most of the book, because I found her tremendously self-absorbed and rather rude. But as I kept reading, I realized she didn't like herself very much, either, and was struggling to turn that around. The two secondary characters, her friends, were the kind we all wish we had, and watching them care for her, I began to see that she was, indeed, worth caring about. And at the end, I had come to love these characters so much I found myself rationing the pages because I didn't want the book to end. Penelope Sparrow is a dancer. For reasons she can't seem to remember, she has jumped off of a 14-story building and woken up in the hospital alive. Penelope Sparrow's story tries to be a lot of things. It tries to be a story of finding oneself using the metaphor of modern dance. It tries to be a treatise on the inner-mind of a woman with an eating disorder. It tries to be an interconnected tale of the different ways love comes to us in our lives. It tries to be far too many things at once and bec Penelope Sparrow is a dancer. For reasons she can't seem to remember, she has jumped off of a 14-story building and woken up in the hospital alive. Penelope Sparrow's story tries to be a lot of things. It tries to be a story of finding oneself using the metaphor of modern dance. It tries to be a treatise on the inner-mind of a woman with an eating disorder. It tries to be an interconnected tale of the different ways love comes to us in our lives. It tries to be far too many things at once and because of it's over-zealousness all of these threads end up flat and lifeless. Penelope Sparrow is one of the most unlikeable characters I've encountered recently, and in my opinion, she does not redeem herself at the end like I hoped she would. She is so incredibly self-centered, self-involved, and selfish that by the time she finally realizes that through her new best friend she has "experienced a kind of love I'd never known before" it seems forced and ultimately untrue. We are supposed to believe that Penny has opened herself to love but all I saw was someone that made her friend's illness more about herself and her own pain than anything else. Perhaps most uncomfortable in the story is Penelope Sparrow's relationship with her mother. The reader is supposed to believe, based on Penny's POV, that her mother has been a demanding task-master that has cared about nothing other than living her own dream of dance through her daughter. What we actually see, however, is a loving, supportive mother that has given up her life and dreams FOR her daughter and in return has lived through 28 years of tantrums. Penny spends the entire book commenting on her mother's weight - in the first half being openly disgusted with how "fat" her mother is, and in the second half constantly commenting on her mother's new "slimmer figure" as if that has somehow made her a better human being. I could sit and pick apart every other relationship Penny has in the book and how she treats everyone in her life like utter trash, but I think my point is made. I do want to mention how, after working 3 days in a candy factory, she complains how "this job is killing me" - it was such a clear illustration of how spoiled and privileged her life is (and clearly always will be) that I had to laugh out loud. Everyone else in Penelope Sparrow's story was wonderful, and each one deserved a better friend, and a better daughter. Dreams. Aspirations. We all have them. Some of us dedicate our lives to the fierce pursuit of them. Some of us dabble. Some of us push our bodies and our minds to the breaking point. Some of us just let our dream silently slip like sand through our fingers. Some of us jump—or fall—like a wounded songbird unable to cling to its lofty perch. Like Penelope “Penny” Sparrow. When I was a child, I had a book called A Very Young Dancer. Through its story and photos I felt the excitement, apprehension, an Dreams. Aspirations. We all have them. Some of us dedicate our lives to the fierce pursuit of them. Some of us dabble. Some of us push our bodies and our minds to the breaking point. Some of us just let our dream silently slip like sand through our fingers. When I was a child, I had a book called A Very Young Dancer. Through its story and photos I felt the excitement, apprehension, and passion that courses through a dancer’s blood. After briefly trying dance lessons, I knew it wasn’t in me. I had the grace of a buffalo and the dedication of a hamster. My body and my heart didn’t feel that passion—unlike like Kathryn Craft, who spent years as a dance teacher, choreographer, and critic. Unlike her protagonist, Penny, whose lifelong dedication to the often brutal world of dance leaves her broken—both physically and emotionally. The Art of Falling leaps into some tough subjects: toxic relationships, eating disorders, devastating diseases, suicide, and the never ending quest for self-acceptance. Craft deftly handles each with transparency and grace, following Penny as she comes to terms with her damaged relationships with her dance-mom mother, backstabbing lover/boss, and herself. Penny Sparrow would never have learned to fly again without guidance from two unlikely new friends. Marty the baker, whose car broke her fall, shows her how food can feed the soul instead of just being a mere source of bare-bones nutrients, something to savor instead of vilify. And new roommate Angela is trapped in a body stricken by Cystic Fibrosis—though she can’t control her body’s betrayal, she shines with optimism. The Art of Falling exemplifies Craft’s talent as a choreographer of not only dance, but words. Her background as an editor is apparent as well, her prose tight yet seemingly effortlessly balanced, a feat unusual for the work of a debut novelist. Wow, where to start with this book...there was so much to it! The story starts out in a pretty dark place with Penny waking up in a hospital room. She doesn't remember how she got there, nor the fourteen-story fall that caused her injuries. She does remember many of the reasons she was unhappy in the first place, however. Penny had body-image issues. She doesn't have a typical dancer's body and she has felt self-conscious about it for a long time. She also has relationship issues with her mom. And, finally, she has recently had her heart broken by the man she loved, Dimitri didn't just break her heart by leaving her, he also made her doubt her talent and passion for dance. That's the real tragedy in the story. Penny has things pretty rough with all of her troubles weighing on her, but in the hospital while recuperating from her fall she meets Angela. Angela suffers from cystic fibrosis. She is no stranger to hospital stays. To me, the relationship between these two characters was Craft's way of teaching the readers to put their lives into perspective. Getting to know Angela certainly helps Penny put things into perspective. I looked at the rest of the book as a survival story. Each character is fighting their own battle and it's interesting to watch the story unfold and how the characters help each other in their fight. Penny learns a lot about herself on her journey back to her lifelong passion-dance. On Monday, I read Wintergirls (link leads to review), and now, I read The Art OF Falling. The Art of Falling also touches on eating disorders, but unlike Wintergirls, the protagonists refuses to admit she has a disorder - she sees herself as eating healthily. The book starts off when Penelope falls forteen stories and survives. She ended up blocking the fall from her memory. The book, really, is how she copes with having to leave the dance world, and the events leading up to the fall. Personally, On Monday, I read Wintergirls (link leads to review), and now, I read The Art OF Falling. The Art of Falling also touches on eating disorders, but unlike Wintergirls, the protagonists refuses to admit she has a disorder - she sees herself as eating healthily. Personally, I found the story interesting, but I didn't like Penelope very much. Yes, I can understand why she's closed off and slightly bitter about things, but she comes across as very self-centered to me. She does change for the better within the book, but first impressions don't leave so easily. I guess for some reason, I just didn't connect with this book. That's a bit strange to me, because I do like dance (watching that is, I did do ballet before and well, I can't dance at all). But somehow, I never felt fully drawn into the world of ballet. I suppose Penelope's refusal to talk about how she was different made the story less compelling to me. Plus, the novel is on her journey, so not that much emphasis is placed on ballet itself. It's a pity, because I really could have loved this novel. This was my first book of the new year and it was one that I had to take my time reading. I had a love/hate relationship with the central character Penny. She survives an 8-story fall, a fall she can't remember. She lands on the top of a car owned by Marty, a bakery owner. He comes to the hospital to see her and she learns more about what happened. She meets her hospital roommate Angela, who suffers from Cystic Fibrosis. The three unlikely friends become so close as the story goes on. Penny has This was my first book of the new year and it was one that I had to take my time reading. I had a love/hate relationship with the central character Penny. She survives an 8-story fall, a fall she can't remember. She lands on the top of a car owned by Marty, a bakery owner. He comes to the hospital to see her and she learns more about what happened. She meets her hospital roommate Angela, who suffers from Cystic Fibrosis. The three unlikely friends become so close as the story goes on. Penny has a very loving mother and that was one part of the story that hurt to read. Her mother is very overweight and Penny wants to be nothing like her and as a dancer, she has a very bad concept of her own body, feeling she is too big to be a dancer in a world where everyone is small and thin. Her struggle with her body image is a huge part of the story and it was very hard to read. But through her friendship with the wonderful Angela and Marty, she starts to realize just what life should be about. When she starts caring more about someone else, I started to care more about her, until I was in tears by the end of the story. This is really an interesting take on what we see ourselves as and what others see. Kathryn Craft doesn't make it all flowery. She writes it so there are times that you can't stand Penny's attitude and other times, you totally understand why she is how she is. What a wonderful story of celebrating life. To really appreciate the joy of living, one must first have pain, and Penelope Sparrow has plenty of pain, physical and emotional and spiritual. The journey Penelope takes from the darkest moment of despair to the light of joy is not an easy one, for her or for the reader at times. The author did not pull back from the agony one feels while watching someone she loves die and the internal conflicts that creates. Using the themes of dance and letting the What a wonderful story of celebrating life. To really appreciate the joy of living, one must first have pain, and Penelope Sparrow has plenty of pain, physical and emotional and spiritual. The journey Penelope takes from the darkest moment of despair to the light of joy is not an easy one, for her or for the reader at times. The author did not pull back from the agony one feels while watching someone she loves die and the internal conflicts that creates. Using the themes of dance and letting the reader feel what it is like to be one with the air and the music really helped propel the story, and let the reader connect to Penny in an innovative way. In her debut novel The Art of Falling, an amazing story about the resiliency of the human spirit, Kathryn Craft has secured a spot in my Top 10 for 2013 list. From her lyrical style to her unforgettable characters, she had me mesmerized from the first page until the last. One caveat, there are two non-gratuitous 4-letter words, but please don't let that stop you from reading this outstanding novel. You'll miss one of the best of this year's offerings if you do. I give it a 4 out of 5. 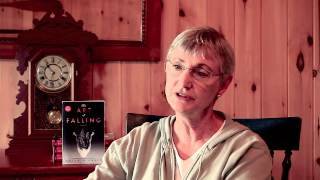 It's a mu In her debut novel The Art of Falling, an amazing story about the resiliency of the human spirit, Kathryn Craft has secured a spot in my Top 10 for 2013 list. From her lyrical style to her unforgettable characters, she had me mesmerized from the first page until the last. Beautiful story, beautifully written. Touching, moving, inspiring. Penelope Sparrow wakes up in the hospital, with a broken body and no recollection of how she got there. Finding out that she fell 14 stories to land on a stranger's car did not awaken her memories. Did she fall? Was she pushed? Was it a suicide attempt, as everyone assumes? Weaving the story of Penny's dancing struggles through the evolution of her recovery was masterful, teasing out the drama and tension in just the right measures. As she picks up the pieces of her life, what or who will she be Penelope Sparrow wakes up in the hospital, with a broken body and no recollection of how she got there. Finding out that she fell 14 stories to land on a stranger's car did not awaken her memories. Did she fall? Was she pushed? Was it a suicide attempt, as everyone assumes? Weaving the story of Penny's dancing struggles through the evolution of her recovery was masterful, teasing out the drama and tension in just the right measures. As she picks up the pieces of her life, what or who will she become? Penny's future never feels assured, happiness is never a given, but the writing is so good you have to read on. This is a novel I will not ever forget. Kathryn's characters speak to the soul- every one of them highly developed and important to her story. A fierce novel of courage strength despair adversity and love. It was wonderful and much more. Please read it. This book was slow to grab my attention. Possibly because I know so little about professional dance. But I kept reading and found myself liking the characters more and more. My second published novel, The Far End of Happy, is the culmination of a 17-year calling to write about my first husband's suicide and the impact it had on our family and community, an event that seared itself so indelibly into our lives that I constrained the story to its 12 hours. I so appreciate its warm reception! Despite this trial I live a joy-filled life. It has been my privilege to raise tw My second published novel, The Far End of Happy, is the culmination of a 17-year calling to write about my first husband's suicide and the impact it had on our family and community, an event that seared itself so indelibly into our lives that I constrained the story to its 12 hours. I so appreciate its warm reception!